The Southern Environmental Law Center on Thursday announced an agreement in principle with Duke Energy for the utility to remove all of the coal ash at its W.S. Lee facility from the banks of the Saluda River near Greenville and Anderson, South Carolina, to safer dry, lined storage away from the river. Based on the agreement Duke Energy has committed to moving 3.2 million tons of ash in pits along the Saluda River to dry, lined storage away from waterway, including the ash in two leaking lagoons and in an ash storage area near the lagoons. The W.S. Lee Steam Station, which was retired in November, was Duke Energy’s last remaining coal-fired plant in South Carolina. In North Carolina, Duke is required (under the Coal Ash Management Act) to clean-up just four of the 14 coal ash storage sites in the state. The state’s Coal Ash Management Commission will assess the other ten sites and set timetables for their clean-up. 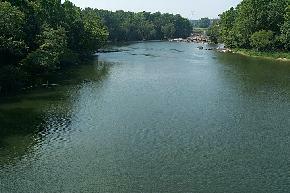 The Coal Ash Management Commission is scheduled to meet again on January 14th in Raleigh.